This is indeed a sight to behold! 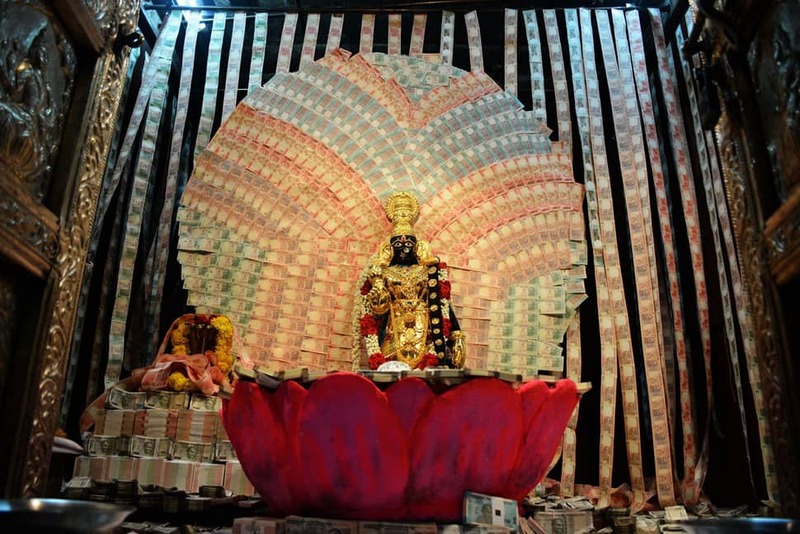 The idol of Goddess Sri Kanyaka Parameshwari in a 140 year-old temple inVishakhapatnam (Vizag) has been decorated with gold jewellery and currency notes worth Rs 4.5 crores. 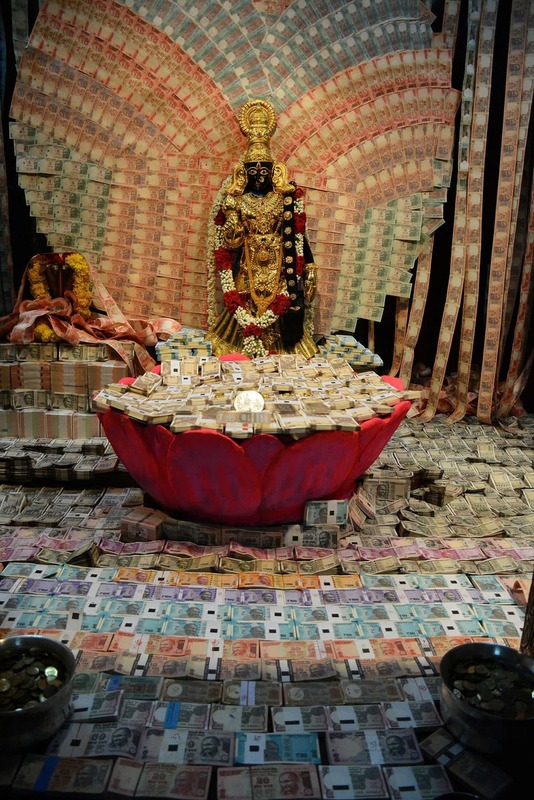 The contributions have come from over 200 devotees, reports suggest. 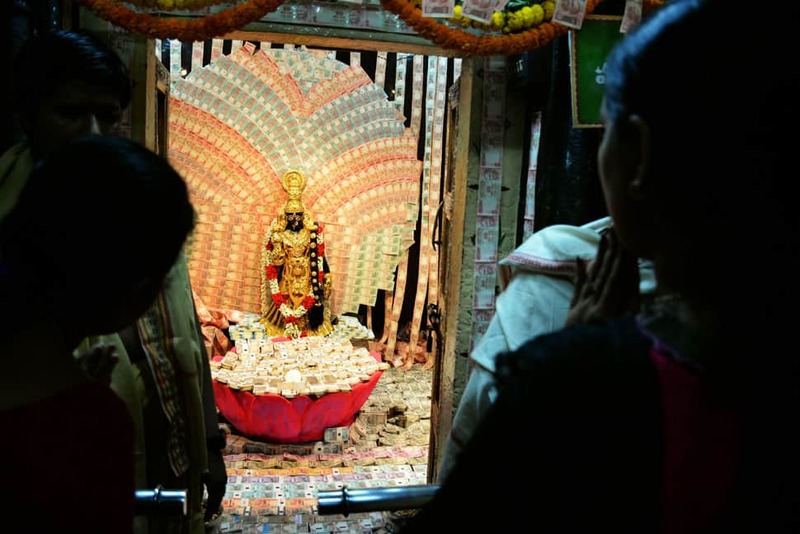 The temple is maintained by a group of local businessmen who start collecting currency notes before Navratri commences. 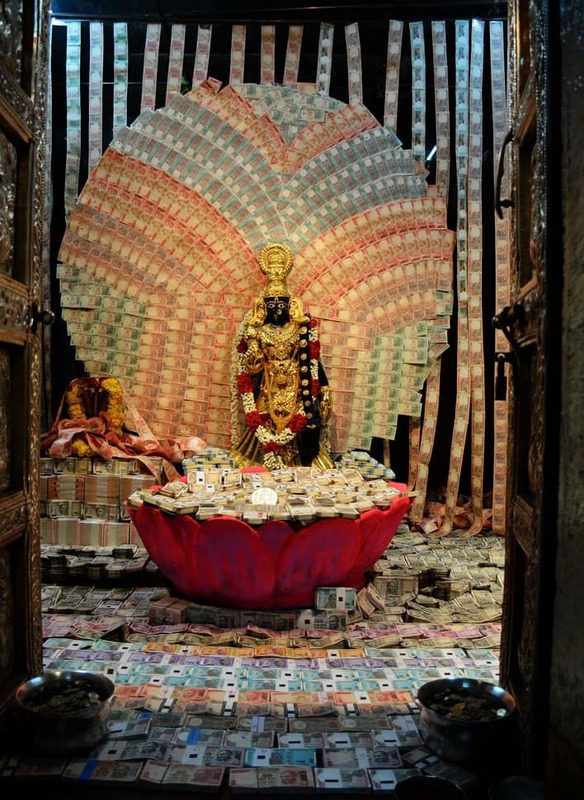 The deity is decorated with these currency notes and returned to those who had contributed it for the purpose of Navratri decoration. This is an annual ritual performed by the Temple authority. 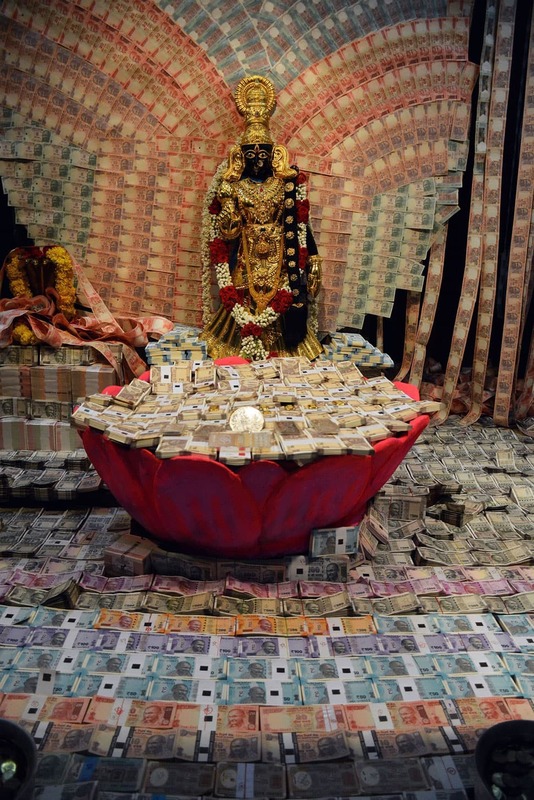 This year, the estimated sum of the currency notes is Rs 4 Crores. Thousands throng the temple to take darshan of the Goddess during the auspicious days of Navratri. 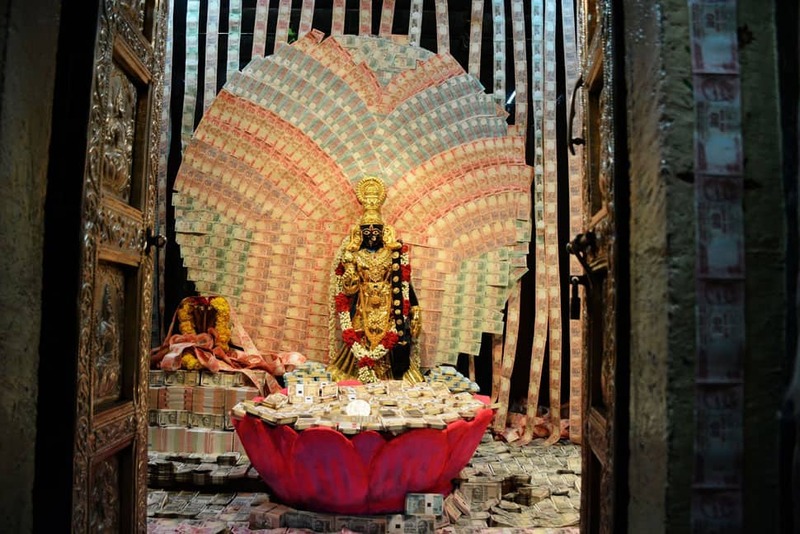 The deity is depicted as the Dhanalakshmi avatar of Goddess Lakshmi.